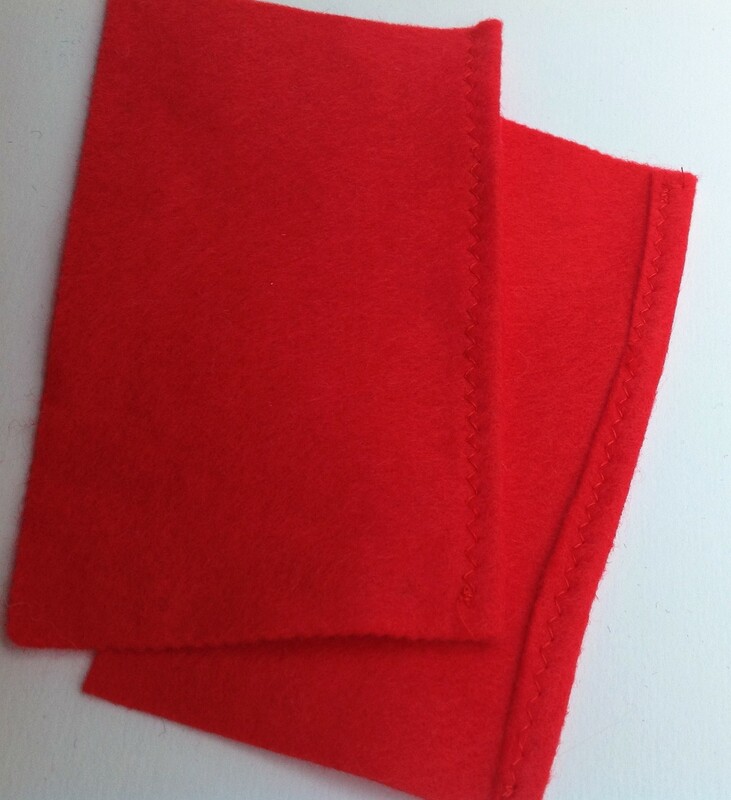 General – Use a straight stitch and sew about 0.5cm from the raw edge unless specified otherwise. 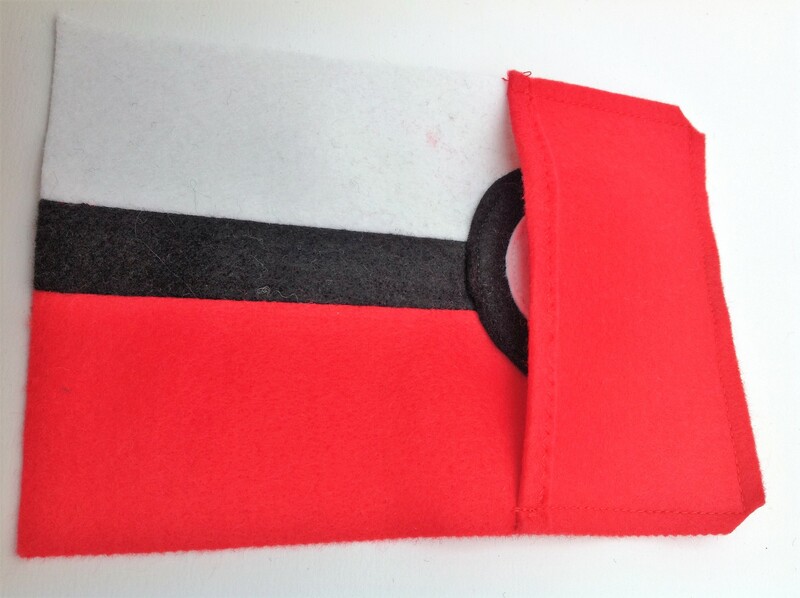 Sew the red rectangle to the black one along the long edge. 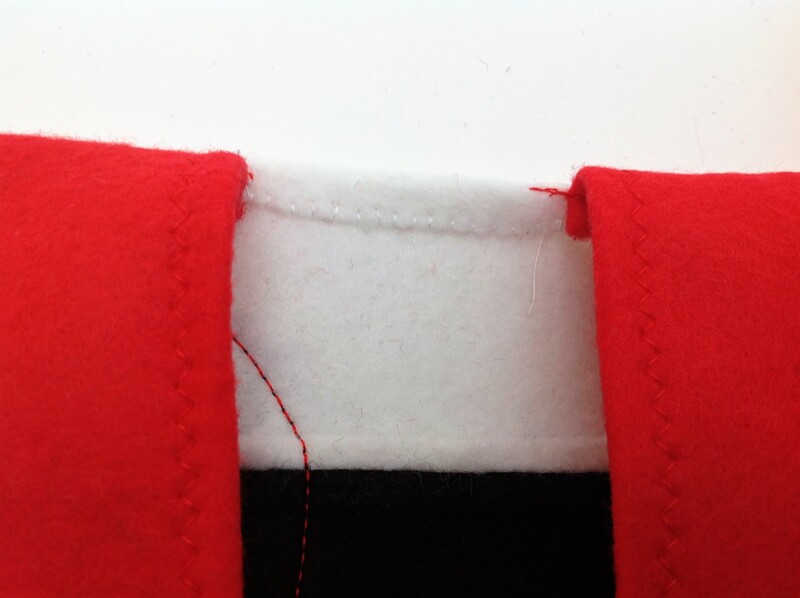 Then sew the white rectangle to the black along the other long edge. 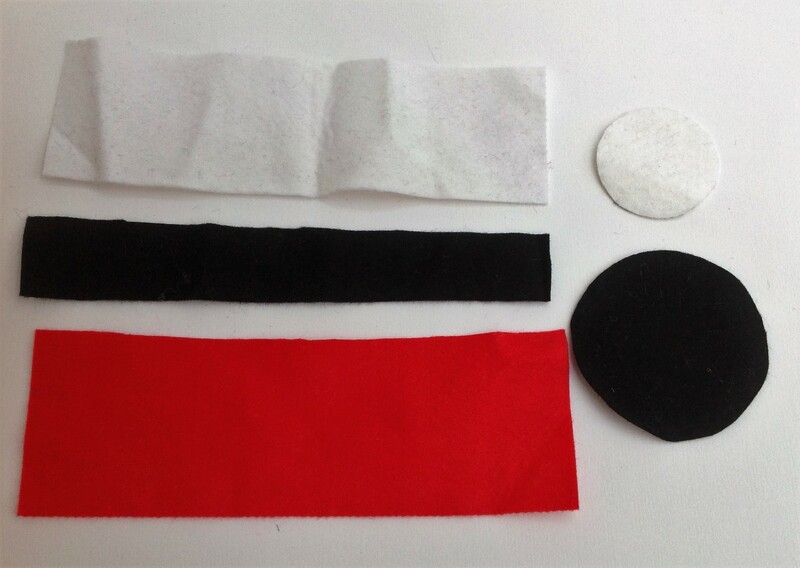 Press (use a setting suitable for the type of felt you are using – try it out first on a scrap if you’re not sure). 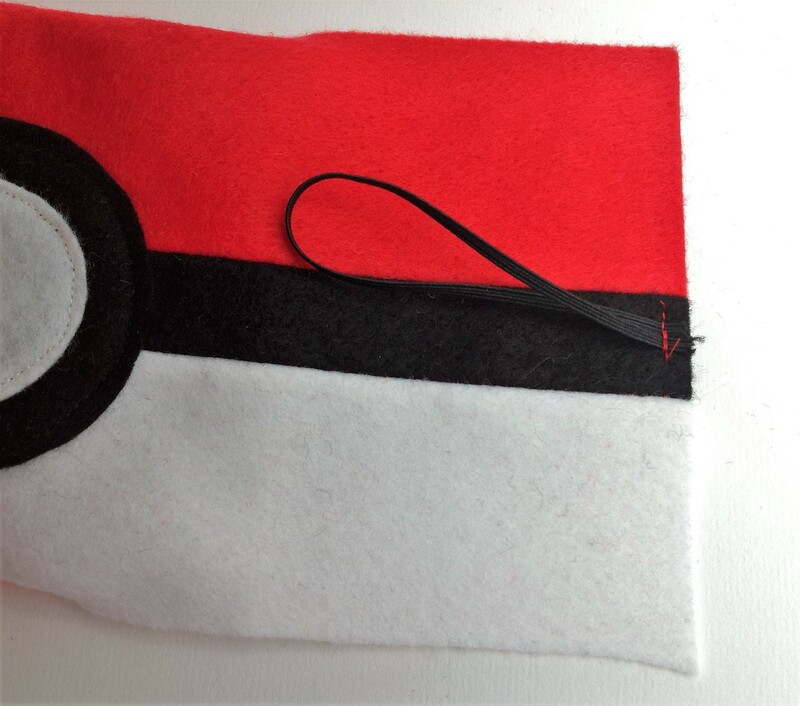 Sew the black circle onto the right side in the centre. 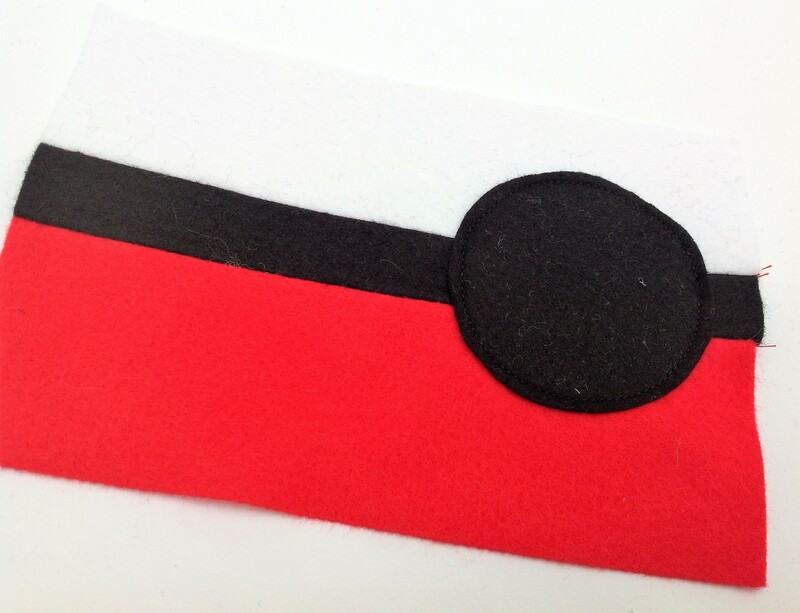 Then sew the white circle on top. 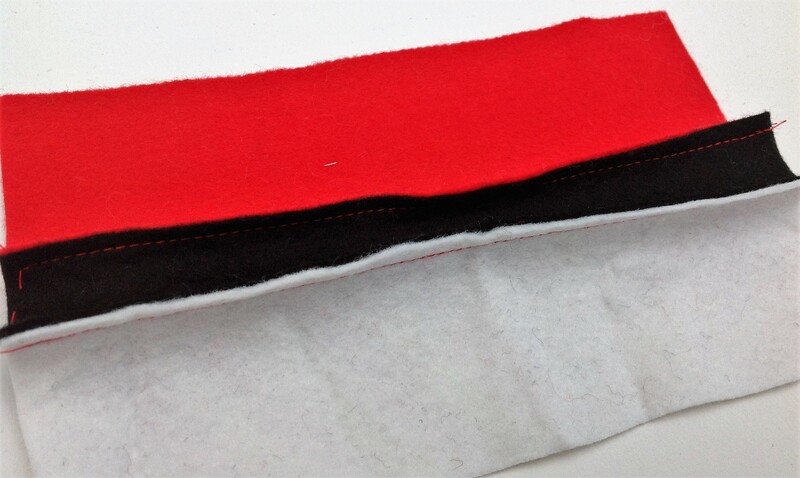 Press a small hem along the long edge of both red inside pocket pieces and stitch – you can use a zig-zag stitch or straight stitch. 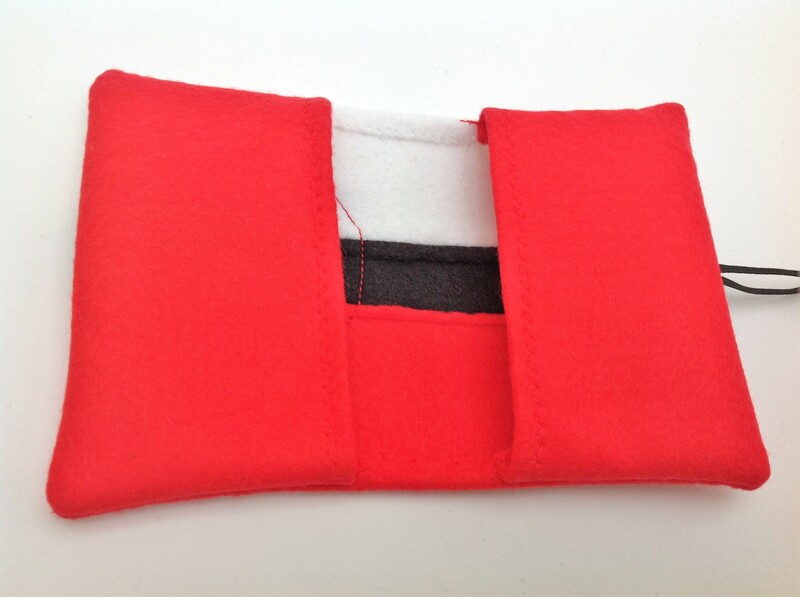 To attach right-hand side pocket, pin the pocket panel, right sides together, to the outside of the pouch on the right-hand side and stitch round the three outer edges. Press. Stitch the two ends of the elastic as shown in the picture. Attached the left pocket the same way as the right one – making sure the elastic is inside and not caught in the stitching. Trim the corners, then turn right sides out, using a ruler or pencil to make sure the corners are square. 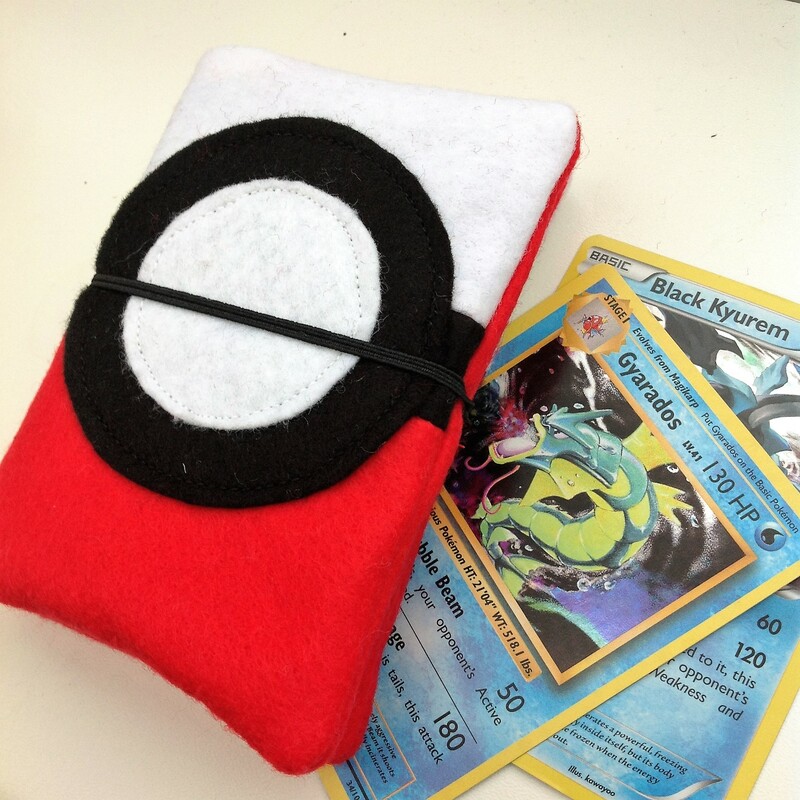 Press, then sew down the top and bottom edges in between the pockets by hand and you’re done! 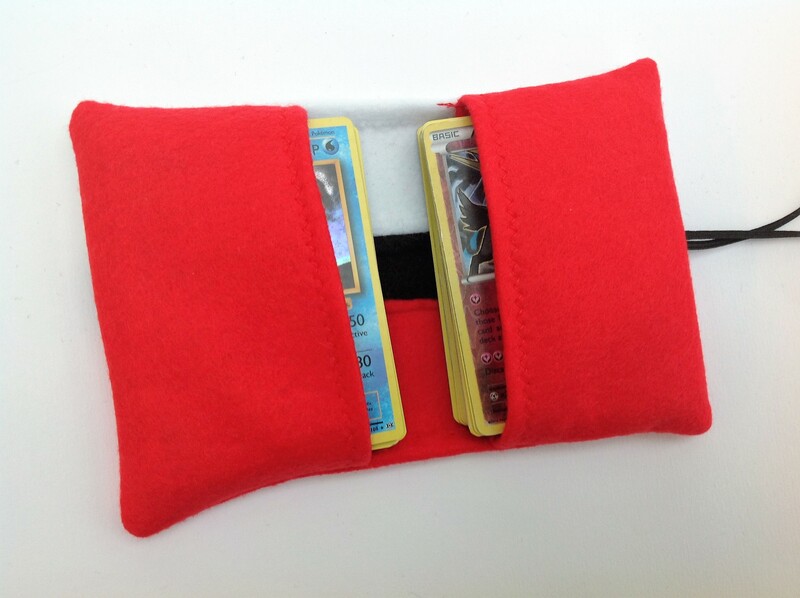 Have a cuppa and present finished Pokemon deck holder to your happy Pokemon fan!